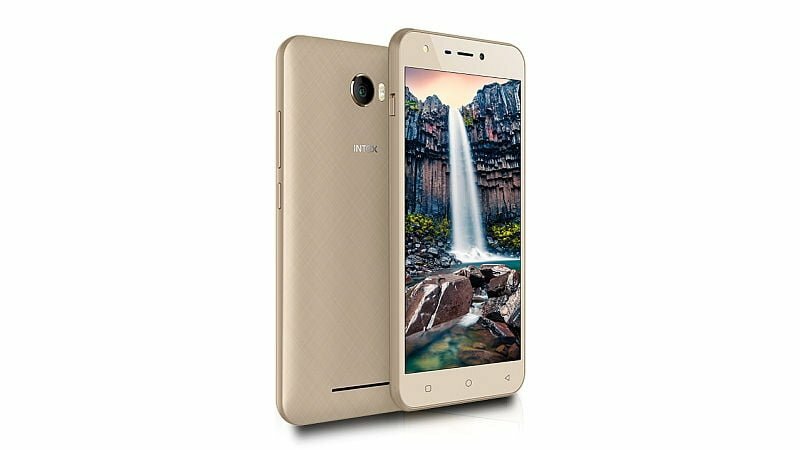 Two days ago, domestic smartphone brand Intex launched a smartphone named Aqua Style III for Rs. 4,299. And today, the company has pulled the wraps off yet another smartphone, called Intex Aqua Note 5.5. Priced at Rs. 5,799, the Aqua Note 5.5 has a 5.5-inch display and selfie flash, which sets the device apart from the competition. The smartphone is available for purchase in Amazon India. It comes in a single Champagne Gold colour option. Diving into the specifications, the Aqua Note 5.5 has a 5.5-inch HD display with a resolution of 720×1280 pixels and carries a pixel density of 269 PPI. Innards, the device has a quad-core 1.25GHz MediaTek MT6737V SoC. The chipset is accompanied by a healthy 2GB of RAM and 16GB of onboard storage. The storage can be further expanded up to 128GB with a microSD card. Intex has added an 8MP rear camera with dual tone LED flash. A 5MP selfie camera with an LED flash adores at the front of the phone. The Aqua Note 5.5 runs Android 7.0 Nougat and is fuelled by a 2800mAh battery. Intex says that the 2800mAh unit will deliver battery life of a single day with moderate usage. It is rated to offer 500 hours of standby time and 10 hours of talk time. The device measures 153×77.5×10.3mm and weigh 177 grams. The phone has all the basic connectivity options such as 4G LTE, VoLTE, Wi-Fi 802.11 b/g/n, Bluetooth 4.1, GPS/A-GPS, micro USB port with USB OTG support. It also has all the basic sensors such as the ambient light sensor, gyroscope, accelerometer, and proximity sensor. The device also has a 3.5mm headphone jack. With the Intex Aqua Note 5.5, the company has a great contender for the Xiaomi Redmi 4A. But the latter has better specifications in the form of a bigger battery (3120mAh) and Snapdragon 425 SoC. However, the Redmi 4A is still on MIUI 8 based Android 6.0 Marshmallow. The Redmi 4A is priced at Rs. 5,999. Intex is launching 4G phones every week. Don’t know what’s their intension behind such ideas. Instead it should focus to manufacture a smartphone with nice specifications and should be affordable like Xiaomi mobiles. And should leave MediaTek processors and accept SD processors.